Every day, our alumni reshape the social work landscape with dedicated service, decisive leadership and powerful programs that set the standard for social change. Our family of loyal supporters helps to ensure that a new generation of social work leaders and practitioners will sustain this legacy of innovation, advocacy and impact. 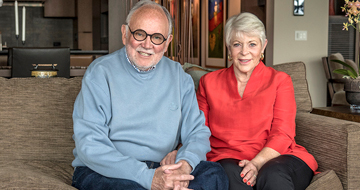 A significant gift from alumna Lynn Behar and her husband, Howard, will provide funds for a new center with a social justice approach to oncology and palliative care education and research. 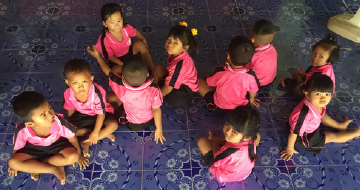 Alumni Victor Crouch and Darryl James are partnering with close to 480 village residents in Thailand’s Ubon Ratchathani province to build a new preschool that does not flood every time it rains. Distinguished social work researcher Matthew O. Howard, PhD and MSW program graduate, died Dec. 15, 2018. Read more.